Studio 1 (pictured above): The last studio in the building with its own internal mezzanine floor, Studio 1 is a beautiful space measuring 722 sq.ft / 67 sq.m. Located on the ground floor (O Level) adjacent to the main entrance. 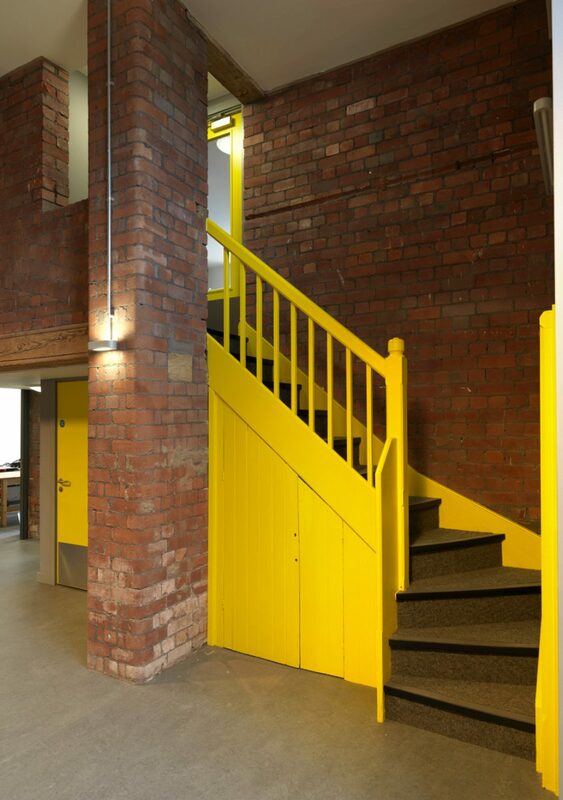 Studios 9 &15: The only two small studios still available, Studios 9 and 15 offer space for 2 or 3 desk spaces/people. Studio 15 is a very individual unit, accessed by its own staircase, which used to be the route to the see school nurse (see picture below). 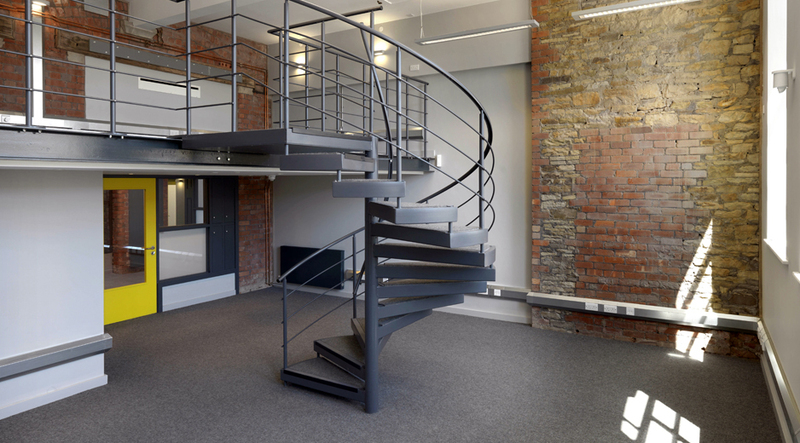 Studios 12 & 26: Both measuring around 300 sq.ft / 28 sq.m, these studios offer space for up to 5/6 desks/people. Studio 12 is located on the ground floor (O Level), and Studio 26 is on the first floor (A Level), and includes a wonderful full height arched window. Rent-A-Desk Studio: We also now have a rent-a-desk studio available, which provides a great workspace for one person, at £199 per month including VAT, fully inclusive including broadband access. Heat and electricity included on all studios. Variety of options available on in-house Broadband and Telephone services. Contact Matthew at Sum to arrange a viewing or for further information (matthew@www.sumstudios.co.uk / 0114 399 1000).